2. 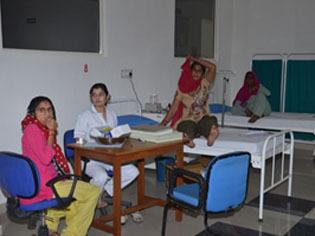 In-patient services: we have 10 beded fully equipped well staffed department with one unite. 3. Pulmonary Function Laboratory, spirometry, PFT etc. 5. Government commitment (including political will at all levels, and establishment of a centralized and prioritized system of TB monitoring, recording and training). 6. Case detection by sputum smear microscopy.Standardized treatment regimen directly of six to nine months observed by a healthcare worker or community health worker for at least the first two months. 8. Standardized recording and reporting system that allows assessment of treatment results.